They’ve still got dew on them! 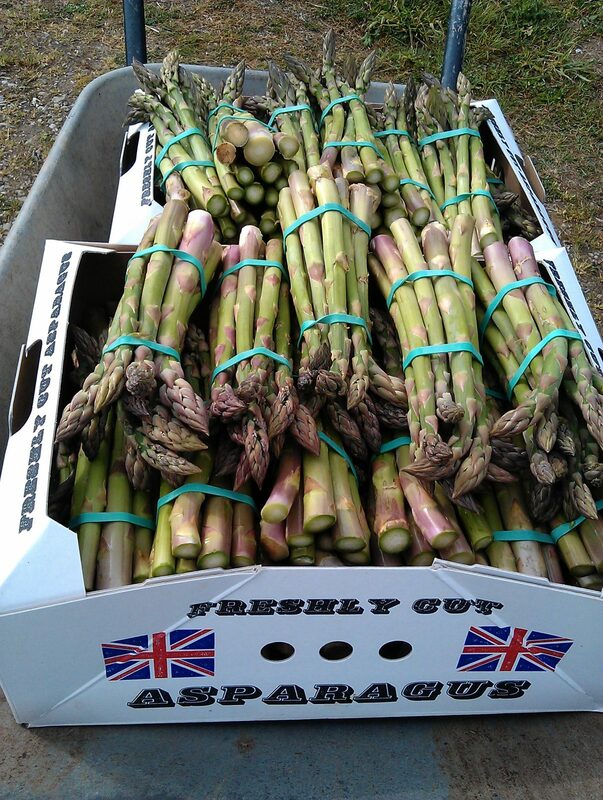 The bundles of freshly-cut Cornish asparagus are from Roger and Gill Derryman at Lower Croan, Sladesbridge. The boxes also have new peas and spring turnips from our polytunnels – with plenty more to come in the next couple of weeks.